Olly goes up against Spiro again, this time it's a throwing competitionOlly is learning to throw the discus and really wants to impress the Olympic champion with his skills. 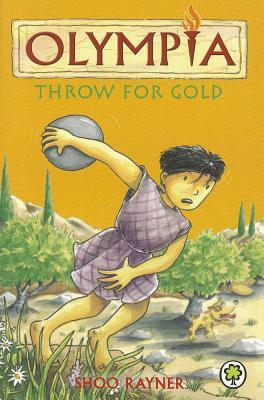 Can the spirit of Zephyr, the west wind, help Olly make the discus fly? Shoo Rayner is an author and illustrator who has written more than 100 books, including "Is the Wise Owl Wise? "and the Ricky Rocket series."